How Much Power Do You Need For A Passage? We are always told when outfitting our boats for cruising that we need to make sure our onboard electrical system can handle our projected daily power usage. But that raises an important question: what sort of day are we talking about? Is it a day spent at anchor, the day we have a lot of guests and friends on board, a day spent in a marina, or—and very often this is not considered—a day spent underway on a bluewater passage? More than one cruiser has discovered that the amount of power they consume during several days spent underway can easily exceed what they normally consume at any other time. On my boat, I’ve found that my power consumption might even double on passage, although it depends on the conditions I encounter. 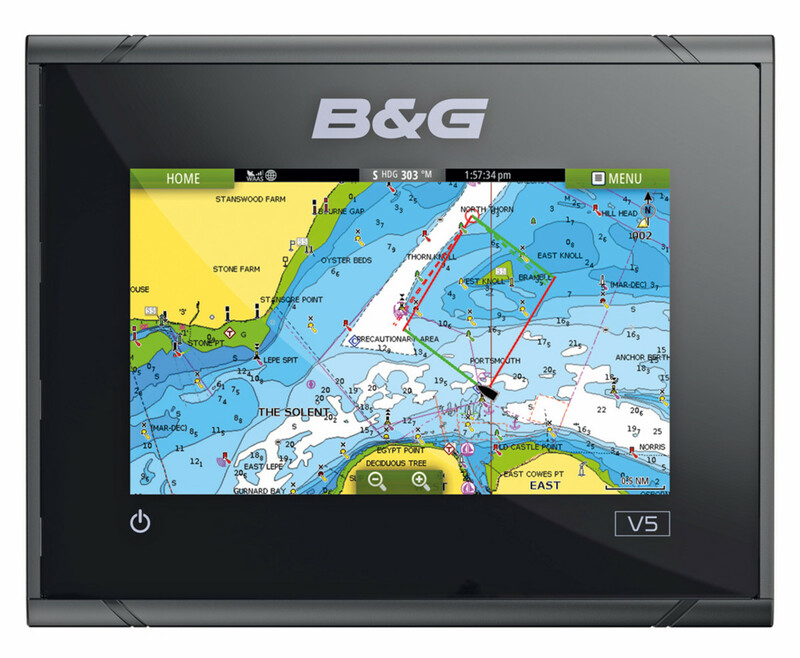 All boats have different energy requirements, but if you understand that your power use may greatly increase during an extended passage, you can monitor your batteries closely and keep them from running low. Conserving energy should always be your first priority when doing this. Here’s my list of the biggest energy hogs onboard, along with some thoughts on how to put them on diets. This is a crucial piece of equipment on any passage that often runs 24/7. To make its working life easier, and also to reduce its power consumption, always make sure your sails are correctly trimmed, so that the boat’s rig is as well balanced as possible. 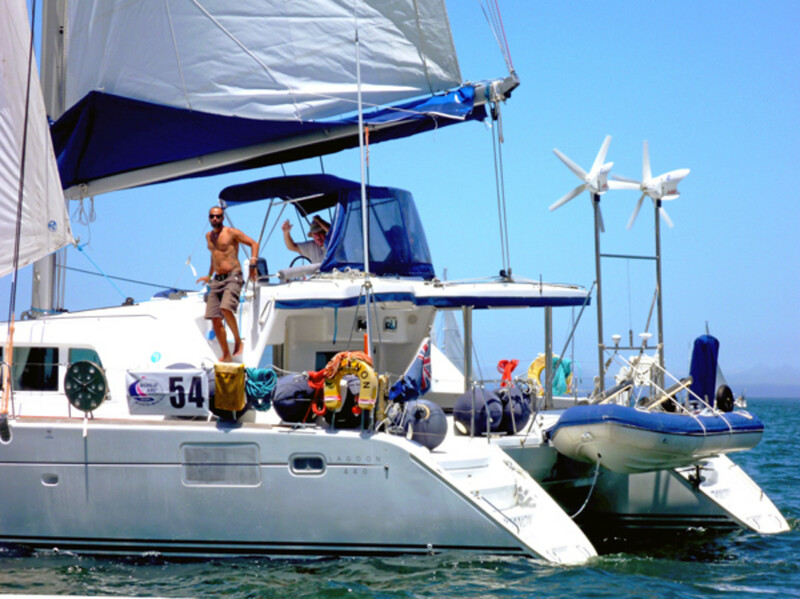 If you plan on doing a lot of offshore sailing, think seriously about getting a windvane. They don’t need electricity to work and having one gives you two self-steering options. This is wonderful for spotting squalls and ships, but it doesn’t need to be running all the time. Unless you’re in a busy shipping lane or sailing through a patch of unsettled weather, it is much more energy efficient to only activate your radar every hour or half-hour to check for contacts. This is such an essential piece of gear that we rarely think about its power consumption. Although smaller units have a fairly low draw of perhaps 200 milliamps, some larger models can pull up to 1.5 amps, even in standby mode. On a passage your VHF is on twice as long as normal—24 hours instead of 12—so you have to keep that in mind. That said, there’s not much you can do about consumption, except getting the most energy-efficient model you can find. When making a passage you will probably download many more weather files than you do while at anchor. One good way to reduce radio time is to download GRIB files at the minimum size you need. You should also request only the documents that relate to a specific area. Many boats have already changed over to LED or low-power anchor lights, but many, including mine, still have incandescent tricolor lights that draw 1 to 3 amps. This kind of load adds up pretty quickly. You should at least explore the possibility of retrofitting your existing lights with LED bulbs. Whenever a cruising boat is underway, day or night, someone should be on watch. At night that often means more interior lights getting used. 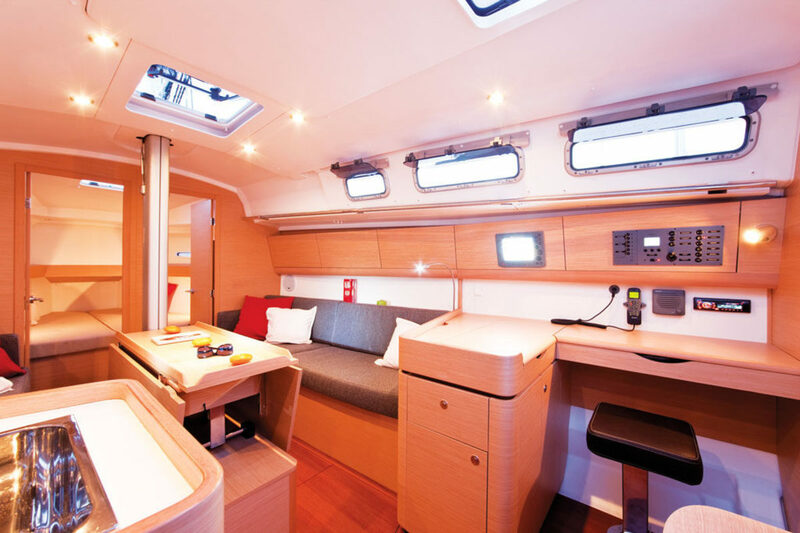 One of the best ways to cut down on belowdecks lighting is to use a LED headlamp with rechargeable batteries when you are reading or cooking or looking for something below. Again, it is also a good idea to retrofit your existing interior light fixtures with LED bulbs. Filling the fridge with warm food the day you shove off means the unit’s compressor has to work extra hard during its first day at sea. If you fill the fridge a day in advance, the unit has a chance to cool down before you head offshore, and this will help reduce your energy consumption. If you start getting low on power during a passage, you can also limit your use of the fridge. Only open it during the day, and leave it switched off at night when the ambient air is cooler. 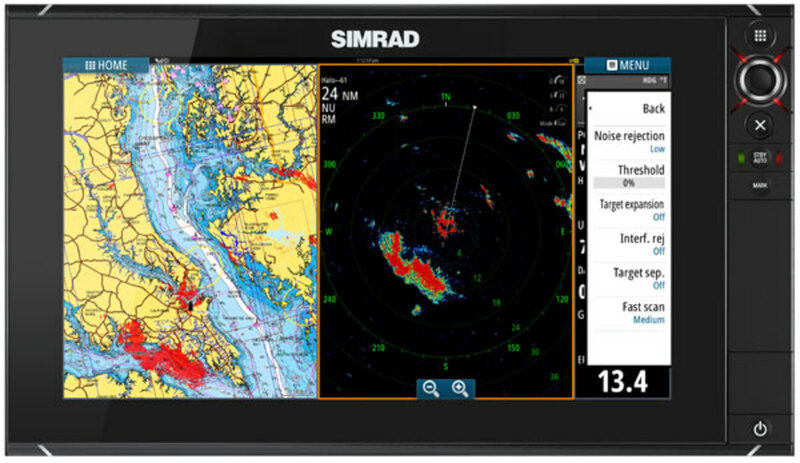 Once you are offshore and have checked and double-checked that the course you are steering will keep you clear of all obstructions, there’s no need to look at a chartplotter. As long as you are not near anything, you can safely leave it off. Use a handheld GPS with rechargeable batteries to keep a position plot on a paper chart. Again, if you are well offshore you don’t need to have the depthsounder running all the time. In some situations, you might want to turn off the wind and boat speed indicators as well, unless you’re trying to run up some impressive numbers to post on your blog. That said, you should always have your instruments on whenever you think you might need them. Some purists like to criticize those with a computer addiction, but the fact is many cruising sailors write e-mails, play games or even watch movies on computers while on passage. If you are one of these sailors, remember that reducing computer time is a good way to reduce power consumption. A nice side effect is that this gives watch standers more time to read, look at the ocean around them and even learn about the stars and planets. When you are sailing downwind (and if you plan your weather windows properly this should often be the case) the apparent wind speed will be less than the true wind speed. Quite often the apparent wind is so weak the efficiency of many wind generators is considerably reduced. There’s also a good chance your sails will cast a shadow over your solar panels for much of the day. If you see this happening, easing the main or jib a bit could be all that’s needed to keep sunlight shining on your panels. Often this has little effect on boatspeed and might add 3 or 4 amps to your energy production. As long as there is enough wind to keep boatspeed up, a towed generator will usually produce more than enough power. The point of all this is to make sure you have all the power you need, particularly when you arrive at your destination. Careful consumption will also keep you from running the engine for long periods to charge the batteries. That’s something no one should have to do, particularly while sailing on a delightful tradewind breeze.